Eyes that are suffering from a mild degree of Limbal Stem Cell Deficiancy. 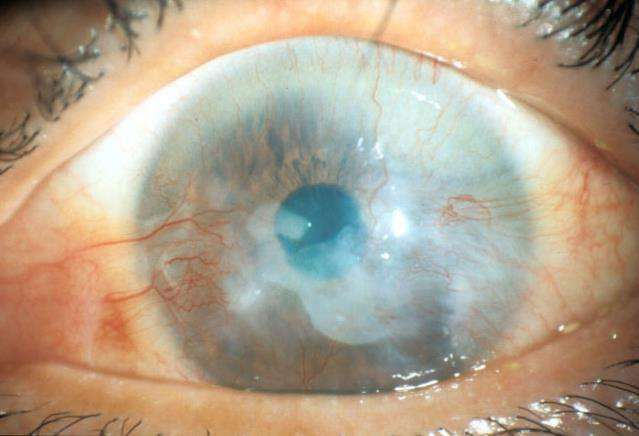 The stem cells are stalling and other cells grow over the cornea. The “window” of the eye, which is normally clear and transparent, becomes blurry, causing reduced vision. Credit: Dr. Takahiro Nakamura, Department of Ophtalmology/Kyoto Prefectural University of Medicine. Researchers at the University of Oslo have made discoveries that can have great consequences for the treatment of blindness caused by so-called limbal stem cell deficiency. The condition is curable through transplantation of stem cells that are cultivated from tissue obtained from different parts of the body. 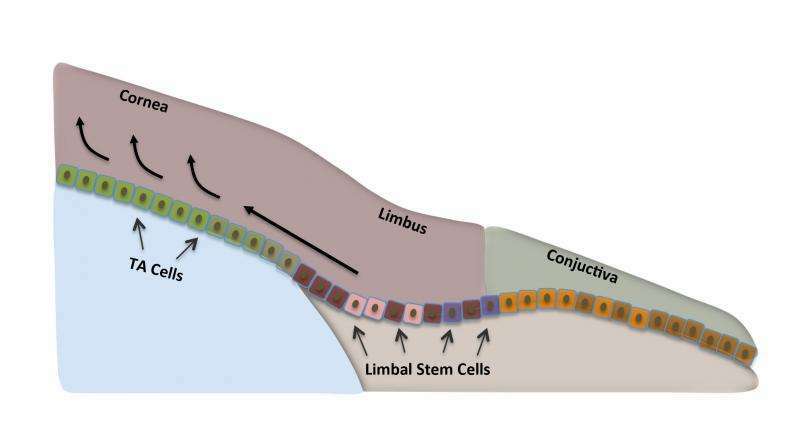 In recent years, interest has been pointed increasingly more in direction of the use of oral cells to prepare new tissue. This makes possible treatment of patients suffering from limbal stem cell deficiency on both corneas, with cells from their own body. The patients are thus spared from using strong immunosuppressive drugs that can bring about serious side effects. The main focus of the researchers now lies on optimizing the storage and transport conditions for the cultivated tissue, in order to make the treatment accessible to the areas with the greatest needs. "Today, cells from the oral cavity are being cultivated for treatment of blind at a few specialized centers in the world. By investigating the most optimal conditions for storing and transporting the cultivated tissue, we will be able to make this treatment available worldwide, and not just close to the cultivation centers," explains Rakibul Islam, a PhD-candidate at the Faculty of Dentistry. He has recently published findings essential to exporting the method of treatment beyond the immediate proximity of the laboratories. Until now, no procedure has been described on how to store the cells that are extracted from the oral mucosa, in order to keep and transport them in a simple way. In his PhD-project, a collaboration with Harvard Medical School among others, Islam has defined the temperature interval that best takes care of the viability of the cultivated stem cells before they are transplanted onto the damaged eye. "One could perhaps picture that 37 degrees Celsius is the optimal storing temperature for the quality of the cells. But it is rather at temperatures between 12 and 16 degrees that the stem cells keep their most essential features the best," says Islam. He has also found that the location from where the cells in the oral cavity are extracted has significance for the quality of the stem cells about to be cultivated. Islam's results are important to the opportunity to transfer this method of treatment. "By storing the cultivated tissue in a small sealed container for a week, the flexibility of the treatment is significantly improved. It makes it easier to plan the operation and allows for quality assurance through microbiological testing in advance of the transplantation," he explains. This far, nearly 250 people suffering from limbal stem cell deficiency have received treatment involving transplantation of stem cells cultivated from the patients' own mouth cells. Approximately three out of four of these have been successful, according to Tor Paaske Utheim, ophthalmologist and researcher at the Faculty of Dentistry and Oslo University Hospital. – The treatment can both give better vision and reduce the pain. Several patients suffering from limbal stem cell deficiency are tormented by strong pains, he explains. For the time, Utheim is supervising 18 PhD-candidates and research group students, among them Islam. The latest discovery of the research group is an important contribution to the development of this method of treatment. 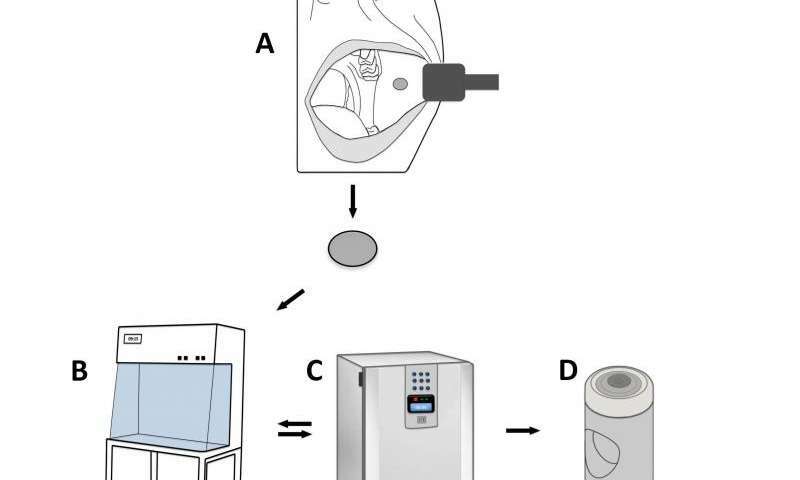 "We have revealed which locations in the oral cavity that may be best suited to store and transport the tissue from centralized, highly specialized cultivation centers, to clinics all over the world. Our findings contribute to making the clinical procedures simpler and more efficient, leading to a far more accessible treatment than what is the case today," says Islam. Earlier this year, the European Medicine Agency (EMA) approved the method ivolving cultivating stem cells from the cornea in a laboratory, within the EU. That makes it the first stem cell treatment to be approved by the EMA. In an interview recently published in Nature Biotechnology, Utheim remarked that the approval is a further step towards implementing the stem cell technology across a larger geographical area. 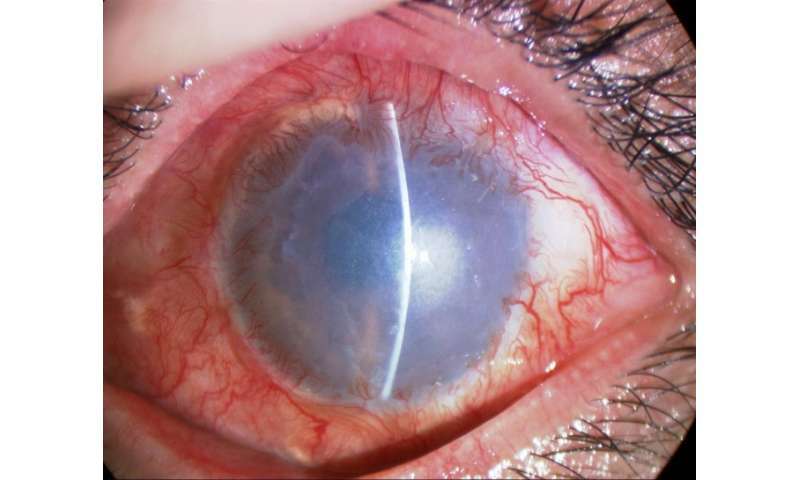 Limbal stem cell deficiency can occur after vigorous and prolonged ultraviolet radiation, caustic burn from use of chemicals, powerful infections like trachoma and as parts of various illnesses, among them some that are inheritable. It is not known how many people suffer from the eye injury worldwide but in India there is an estimation of 1,5 million people. A cure against limbal stem cell deficiency through the use of cultivated stem cells has existed since the late 90s, but that treatment depended on that the patient still had a healthy eye available to obtain cells from. Alternatively, one could harvest cells from a relative or a deceased, but this variant presupposed the use of powerful immunosuppressive drugs, that could cause strong side effects. Thus, ten years ago there was a breakthrough in the field, when Japanese researchers showed that cells from the oral mucosa could replace the cells from the healthy eye of the patient.